For a tighter fit, that keeps you dry and makes you look good, pull on these Vapodri Poly Knit Tapered Training Pants in Static Marl from Canterbury. 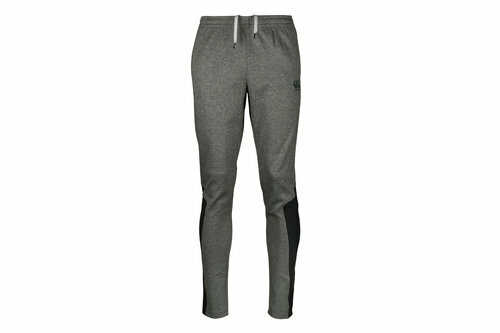 These men's track pants feature an elasticated waistband with adjustable drawstrings for a secure and comfortable fit. Keeping your valuables safe as you train, pockets are included on the front of the pants. Made from a polyester and cotton blend, these track pants have been made for a tighter fit and whilst featuring Canterbury Vaposhield technology which ensures the fabric is water resistant, keeping the wearer drier during wet outdoor practice sessions. The hems of each leg features zips for ease of access and a custom fit. Stay focused on your training, even the conditions are at their most wet by preparing yourself with the Canterbury Vapodri Poly Knit Tapered Training Pants.